FREE Shuttle Service To/From Arrowhead/BC Lifts! home is located on a quiet street with parking for up to four cars. skis, eat lunch and begin your "Village-to-Village Ski Experience"
home with a baby gate, port-a-crib, and high chair. skiing, but move here because of the year 'round beauty! We're sorry but no pets allowed. we can accommodate up to 24 people when you combine both our homes! Kitchen Appliances. 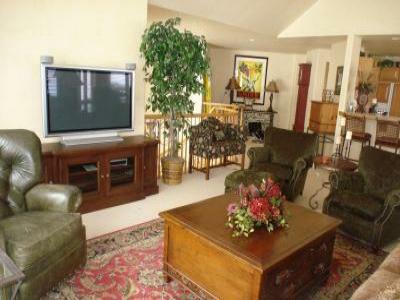 Large Flat Screen TV in Den w/ Surround Sound. 2800 Square Feet. Expansive Mountain Views. 2 Car Heated Garage. swimming pool, tennis, fly fishing stream, hiking trails. Performing Arts, Five Star Dining, Kids Summer Camps.